You're right, it may just be a machine. But it's a machine that learnt me English while I was not 11 years old yet. It's a machine that initiated my (still-alived, and very strong) passion for Apple—and, in a broader sense, for quality. It's a machine that made me dream while being a child, that built my desire to become a software engineer while being a student, and it's still it which is the reason why I today earn my money happily working in this industry. So yes, it's just a machine, and I'm deeply glad it's back at home. 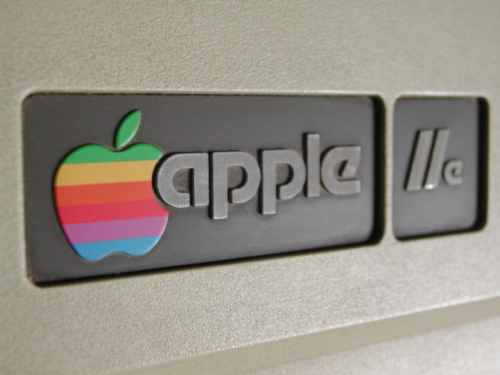 I'll finish this post by thanking my father for turning me into an Apple boy years ago, and all the people who've been involved in helping me get my ol' friend back today; they know who they are… I've just made another dream come true. Next :P ! Short version: I finally decided to "buy" the domain fredericblanc.fr.